Luckypage123.com is the PUP that uses misleading techniques to prevent removal. Use Reimage to locate malicious components and get rid of them faster than with uninstall instructions. A full system scan blocks virus reappearance and prevents traffic to malicious domains. What should you know about Luckypage123.com? How does the hijacker occupy a PC? Luckypage123.com virus operates as a search engine. Though some researchers call it a virus, in fact, it is a browser hijacker. Usually, such potentially unwanted program does not pose a threat unlike some browser hijackers. It still recommended for you to remove Luckypage123.com from the computer. You can do it manually or automatically. Reimage speeds up the process. More information regarding Luckypage123.com removal is provided below. In addition, take a look at the article to find out how you can prevent similar programs from entering the device. Usually, browser hijackers are identified as potentially unwanted applications. They tend to redirect you to other suspicious websites . Alternatively, other hijackers bother with excessive advertising. Therefore, it is better not to let such programs reside on the computer. Comparing this browser hijacker with other samples, it is more reliable than other PUPs. It does not irritate users with multiple flickering pop-ups . Recently, crooks exploit ads for their misdeeds so emerging commercial offers might be more than an annoying phenomenon. What is more, LuckyPage123 uses Google as the main database. Though this feature reduces the potential risk while using this hijacker, you should get a better insight. Due to the absence of links and banners, Luckypage123.com looks more reliable. Additionally, this hijacker does not support plug-ins. Some anti-virus tools offer special browser extensions and plug-ins which help you stay more secure online. However, the search engine deprives you of such ability. Thus a probability of visiting a corrupted website increases. In addition, due to Luckypage123.com redirect, you might also end up in a potentially insecure web page. Luckypage123.com hijack takes place when you rush through the installation wizard of a newly downloaded application. Due to a common habit, rarely users give it a second thought that optional programs are attached and might be installed alongside a primary application. Selecting “Recommended” settings and then hitting the “Install” button result in facilitating the installation of PUPs. Next time you are about to install a new program, select “Custom” settings. Remove the checkmarks from all questionable attachments. Only then continue installing the preferred program. If you are wondering how you can get rid of this application, there are two simple ways to do it. The first, automatic Luckypage123.com removal method, requires significantly less time as an anti-spyware application scans your device and locates the source of the infection and terminates it. The other method is more suitable for those who prefer dealing with cyber infections manually. Remove Luckypage123.com virus by implementing the steps suggested in the guide. Lastly, do not forget to update all your system applications as well check whether all Windows updates are installed . Here, look for Luckypage123.com or any other recently installed suspicious programs. Wait until you see Applications folder and look for Luckypage123.com or any other suspicious programs on it. Now right click on every of such entries and select Move to Trash. When in the new window, check Delete personal settings and select Reset again to complete Luckypage123.com removal. Once these steps are finished, Luckypage123.com should be removed from your Microsoft Edge browser. Eliminating all related elements is crucial to diminish the risk of a future hijack. After you go through the removal guide, reset the settings. Here, select Luckypage123.com and other questionable plugins. Click Remove to delete these entries. Now you will see Reset Firefox to its default state message with Reset Firefox button. Click this button for several times and complete Luckypage123.com removal. Here, select Luckypage123.com and other malicious plugins and select trash icon to delete these entries. Click Reset to confirm this action and complete Luckypage123.com removal. Users of less popular browsers might be targeted by Lucky Page 123 as well. Here, select Extensions and look for Luckypage123.com or other suspicious entries. Click on the Uninstall button to get rid each of them. Here, look at the Homepage field. If it was altered by Luckypage123.com, remove unwanted link and enter the one that you want to use for your searches. Remember to include the "http://" before typing in the address of the page. Now you will see a detailed dialog window filled with reset options. All of those options are usually checked, but you can specify which of them you want to reset. 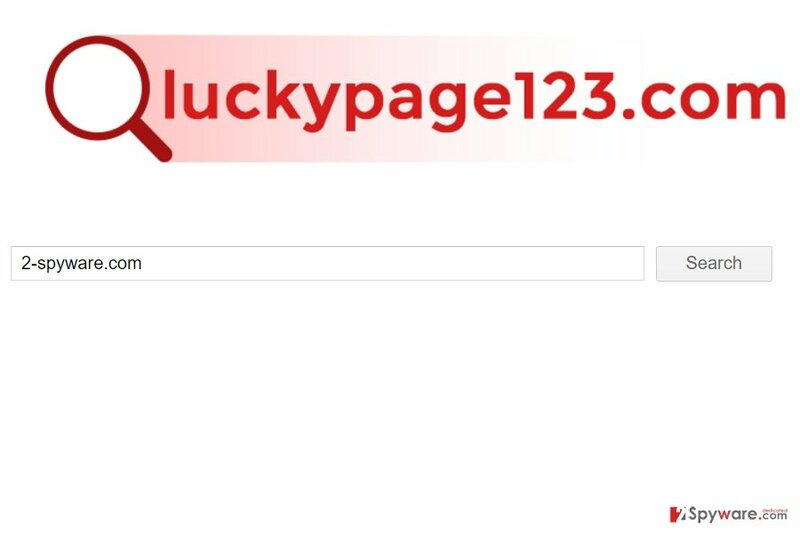 Click the Reset button to complete Luckypage123.com removal process. ^ Ian Murphy. Digital takedown becomes part of cybersecurity. Enterprise Times. Business and IT news . ^ Roger Fingas	. iOS 10.3 promises to limit review pop-ups, add floating one-handed keyboard on iPad. Apple Insider. Apple news and rumours since 1997. 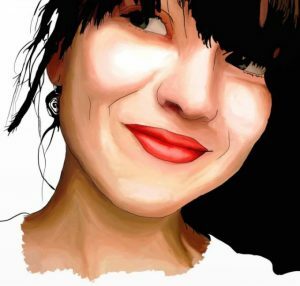 ^ Why you might want to think twice about surrendering online privacy for the sake of convenience. The Conversation. Academic rigour, journalistic flaire. ^ Michael Moore. Windows 10 update - securing your PC to get easier than ever with THIS upgrade. Express. Daily and Express News. This entry was posted on 2017-01-25 at 05:08 and is filed under Stealing programs, Viruses. You can quickly scan the QR code with your mobile device and have Luckypage123.com virus manual removal instructions right in your pocket. How did you remove Luckypage123.com virus?